Commercial Property Owners and Managers are increasingly regulated and subject to investor requirements to disclose the energy performance of their buildings. While the EPA Energy Star Portfolio Manager offers free benchmarking reports and statement of performance, it is not sufficient for evaluating energy savings opportunities, running financial analyses, managing energy improvement projects and measuring the energy savings performance rigorously. 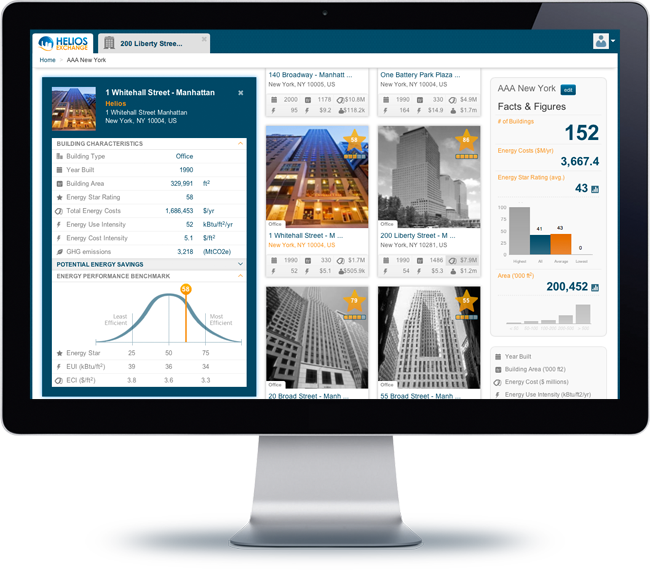 HELiOS PROPERTY MANAGER™ provides an easy to use and collaborative platform, fully integrated with EPA Portfolio Manager, enabling facility managers to benchmark building energy performance, identify and evaluate energy savings projects, manage the retrofits, and track the performance to verify the projects ROI.